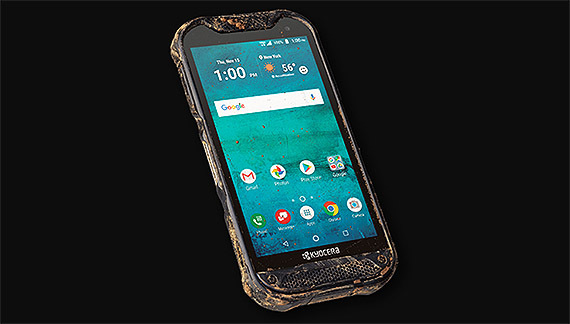 UPDATE 01.16.2019: The Kyocera DuraForce Pro 2 has been added to the best rugged smartphones list. Unlike many other rugged smartphones directed towards constructions or industrial workers, the front and the back sides of the smartphone are surprisingly clean, lacking those unnecessary screws or additional metal plates which more often have a purely aesthetic value and won’t add much in terms of protection. 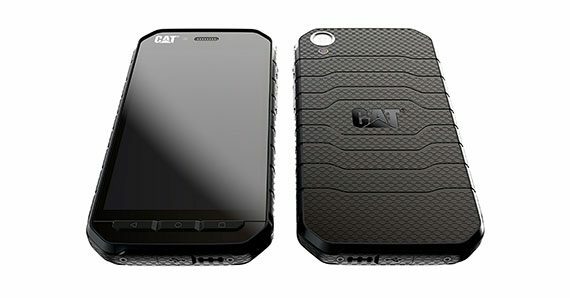 The front side of the CAT S41 maintains the same minimalistic tone, being covered by a glossy surface, down until it gets interrupted by the physical buttons (it still has those three handy buttons: Back, Home and Recent Apps). Furthermore, on the top side, the CAT S41 has a 3.5mm headset jack and a microphone, while on the left side, there’s a microSD card slot along with a SIM card slot and a gold Programmable key. On the right side, you can find the usual combo of Power key and Volume controller, while on the bottom, there’s a single speaker and the USB port covered by a protective layer of plastic (it steered clear of the better type-C standard). 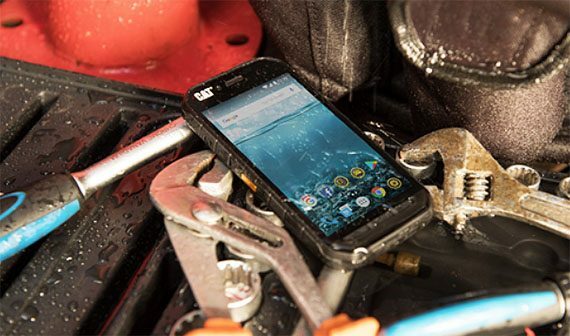 As can be expected from a rugged smartphones, the CAT S41 is IP68 certified, which means that it is dust-proof and you can submerge the handset underwater down to 6.5 feet for about 60 minutes (the protective layers are there for a reason, so make sure to seal them tight after you access the slots to ensure that the device will remain resistant to water and dust). 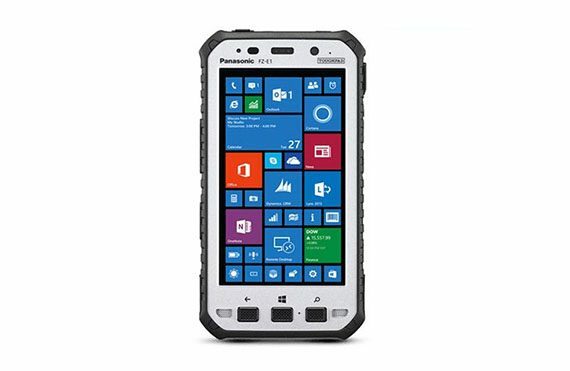 But that’s not all, because, similarly to the Panasonic Toughpad FZ-E1, the CAT S41 carries the Military Standard 810G (MIL-STD-810G), which ensures that the smartphones will survive drops onto concrete from up to 6 feet (even if the phone will fall face-first, there is a protruded outer lip all around the front side which should ensure that the screen survives unscathed), it will handle thermal shocks and salt mist spray, as well as vibration and pressure (which should make it a reliable companion in an industrial environment). There are some additional features which add both to the ruggedness and to the commodity factor: the case has a really good grip and it doesn’t feel like it will slip out of your hand at any time (it measures 5.98 x 2.95 x 0.51 inches and it weighs 7.69 ounces) and it has implemented the wet finger/glove-on technology, which, along with the physical buttons, ensures that the phone is operable no matter the conditions. What I didn’t notice is a fingerprint sensor (something that was also omitted with the S60) and it’s a shame since even the low-end smartphones now carry this feature (and the CAT S41 is not a cheap device by any means). Fortunately, there is NFC and you can use Android Pay. One of the elements that did get an upgrade (and it desperately needed one) is the display, which is now 5 inches (TFT), has a resolution of 1080 x 1920 pixels (from the 720 x 1280 pixels of the S60 – unfortunately, the S31 is stuck with this lower resolution), it has a pixel density of (approximately) 441 ppi, 16:9 aspect ratio and the screen is protected by the latest Corning Gorilla Glass 5, which should provide a reliable protection against scratches (but nothing more). The display is reasonably colourful, with balanced black and white levels, but, while it is very bright, it is also quite reflective (so, in certain conditions, it may be hard to see the display). Inside the case, the CAT S41 is equipped with a MediaTek MT6757 Helio P20 SoC (octa-core Cortex-A53 CPU clocked at 2.3GHz), a Mali-T880 MP2 GPU, 3 GB of RAM and 32 GB of internal storage (with the possibility of adding up to 256 GB using the microSD card slot). The Helio P20 is definitely better than last year’s Snapdragon chip, but a better Snapdragon SoC could have been a more impressive improvement. Nevertheless, the phone will handle multitasking well (it kept the same 3GB of RAM), apps will open immediately and the multimedia experience is satisfactory, but it will perform as a mid-ranger when it comes to gaming. Furthermore, the CAT S41 interface is built on top of the Android 7.0 (Nougat) and the experience is pretty similar to last year’s S60: the interface is clean, it has little to no bloatware and the only apps that stand out are the App Toolbox (an app store for work-related apps), the Battery Share (an app needed to use the phone as a PowerBank) and Catphones. It is a shame that they weren’t a bit bolder and surprise us with the latest Android 8.0 Oreo and, unfortunately, CAT doesn’t have a history of updating its devices to a newer Android OS, so, I wouldn’t expect the S41 to ever receive an update to the Android 8.0 (this is something that most manufacturers of rugged smartphones are guilty of). The cameras have also been upgraded, so there’s now a 13-megapixel rear camera with LED flash, phase detection autofocus and HDR mode and there’s an 8-megapixel front camera suitable for selfies (both of these cameras can shoot photos underwater). The rear camera does a better job than last year’s S60 camera, so the photos are more colourful and will do a decent job in good lighting, but in low light conditions, the photos will have a high amount of noise and blur. So, the cameras are still the Achilles heel for any CAT phone and their performance is not really on par with what other devices from the same price range can offer. One of the greatest upgrades over the last generation of CAT phones is the 5000 mAh battery (non-removable Li-Ion) which allows the S41 to deliver up to 44 days of battery life if left in stand-by (made me nostalgic of the good old days of the non-smart phones) and on light to medium use you could get more than 4 days of battery life. 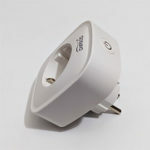 One cool feature is the ability to charge other devices using the provided Battery share dongle (you can set a minimum battery life which, when reached, the CAT S41 will stop charging the second device) and, the S41 also features the Pump Express 2.0 fast battery charging technology (an alternative to Qualcomm’s Quick Charge). 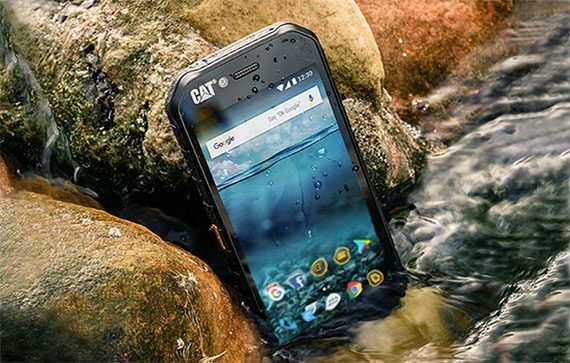 Verdict: Once again, Caterpillar has managed to create a reliable rugged smartphone, suitable for both an industrial environment and for active people that don’t want to worry whether their smartphone will survive their outdoors adventures. By stripping away the thermal camera, the manufacturer wanted to widen up the audience for both the CAT S41 and the CAT S31 and the great battery life and the improved ruggedness will likely appeal to the large majority of people, but I feel that the uniqueness factor has been lost and, similarly to the ‘normal’ smartphones, it is of paramount importance to stand out from the crowd in any way possible. This year we seem to get spoiled by the manufacturers of rugged mobile phones, so, besides the new line of CAT rugged smartphones (which includes the S41 and the S61), we now get the Sonim XP8, the successor to the widely popular Sonim XP7 which was released more than 4 years ago (this gap is an interesting, not-really-consumer-friendly approach from the California-based company) and it seems that the new device has retained pretty much everything that made its predecessor great, but it has also enhanced some of its core elements to make it more suitable for 2019. 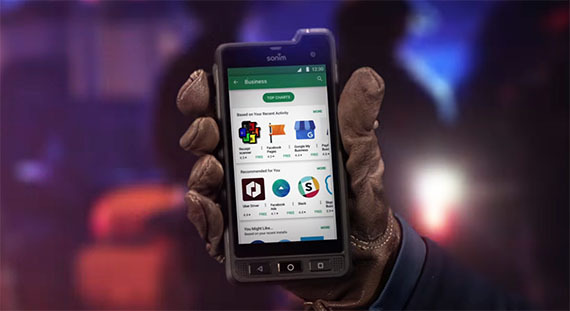 The Sonim XP8 is not aiming at the general users, but at a very specific niche audience that mainly includes the construction workers, the electricians, the people that work at chemical plants and especially it is aimed at those that are the first responders while working in hazardous and emergency-type conditions – this is enhanced by the FirstNet Ready certification (FirstNest gives the first responders access to a congestion-free broadband LTE network where the data can be quickly send a received, therefore ensuring that more lives can be saved and it ensures an overall better public safety). 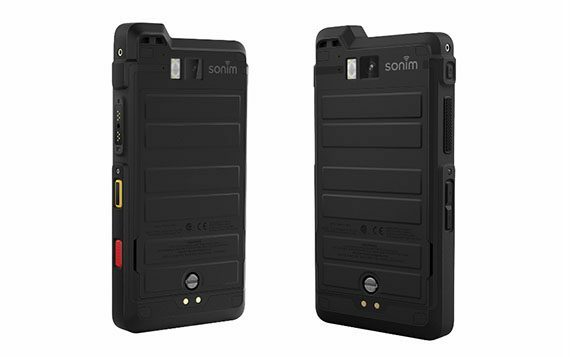 Furthermore, Sonim has also kept the Push-To-Talk function (the AT&T proprietary EPTT), which can prove to be a reliable tool in case of emergency or when the user needs a walkie-talkie-type of service (such as while hiking). I couldn’t really call the Sonim XP7 an attractive phone, but it was a designed in a way to ensure that the device will be waterproof, it will survive falling on all kind of surfaces and that it can be used in dangerous environments. 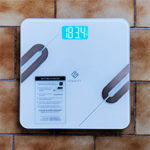 The Sonim XP8 follows on the same footsteps, so it’s quite similar design-wise because it kept the top protrusion for the antenna, but it has lost the octagonal shape and gained a more squarish look with soft rounded corners (the smartphone is also a bit thinner than the XP7, measuring 5.98 x 3.12 x 0.7 inches and it has also gained some weight – it now weighs 11.81 ounces). Other elements that sets this device further apart from the regular Android or Apple handsets are the ‘analogue’ front-facing buttons (Back, Home and Recent), the aforementioned PTT button, the top Sonim XPand Connector (very useful addition which allows the user to connect various modules to the phone and expand its capabilities: the available modules include the Laser Barcode Scanner or the Channel Select module), the Sonim SecureAudio Connector (for any external speakers) and the red Alarm key (when pressed, it automatically sends the GPS location and the user should immediately be contacted by the emergency centre). 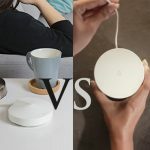 Some other features that were the norm for a long time and are now turning to be something quite exotic are the removable battery and the microSD card, but Sonim is also guilty of removing the 3.5mm headphone jack (it did at least go for the USB type-C connector for charging the battery). On the front side, Sonim decided to put a 5-inch ISP LCD display which has a 16:9 aspect ratio, 441 ppi pixel density and a resolution of 1080 x 1920 pixels. Although the display can’t compare with the flagship models (despite having a similar price tag), it is still a massive improvement over the 4-inch display of the Sonim XP7. Furthermore, for basic media consumption, the display will do just fine, but there is a noticeable red tint and the colours don’t pop out as much as on an AMOLED display. Covering the screen and protecting the entire front side (expect for the buttons), there’s the Corning Gorilla Glass 3 which will do a good job protecting against scratches and, considering that the display may be vulnerable if the users drops the phone face-first, Sonim decided to surround the screen with a raised, protective lip and the display itself seems to be puncture-resistant (as marketed by the manufacturer). Also on the front area, there are two 100 dB+ speakers (with noise cancellation) which, as expected, are very loud and surprisingly clear. Note: You can still operate the smartphone even if you have wet fingers or gloves. The Sonim Xp7 is able to withstand a lot of abuse and the Xp8 doesn’t lower the bar. The handset is IP68, IP69 and IP69K rated, so it can be submerged underwater up to 6.5 feet for as long as 30 minutes (and it will withstand direct water sprays); it can also survive corrosive chemicals and oils, extreme pressure and can withstand a lot of falls before taking actual damage (it’s Military 810G and Non-Incendive Class I, II & III rated). So, similarly to its predecessor, the phone is not indestructible but it is one tough piece of work! Inside the case, the Sonim XP8 is equipped with a Qualcomm SDM630 Snapdragon 630 SoC (octa-core Cortex-A53 clocked at 2.2 GHz), 4 GB of RAM, an Adreno 508 GPU and 64 GB of storage memory (you can add up to 128 GB using the microSD card slot). As you can see, Sonim has made significant progress in the hardware performance department as well (the XP7 had 1GB of RAM, an Adreno 305 GPU and a Snapdragon 400 chip), so the phone will feel more responsive, it will allow some light gaming and the multitasking will be handled with ease. It will also allow for a decent experience with the Android 7.0 Nougat (yes, Sonim decided to no implement the latest Android Oreo and I wouldn’t put my hopes up on seeing any future updates – the rugged smartphones will usually be stuck with the Android version with which they were released and this is not necessarily a bad thing for the Sonim XP8 because a total upgrade may pose some risks in terms of stability and the targeted audience may not appreciate any radical changes). 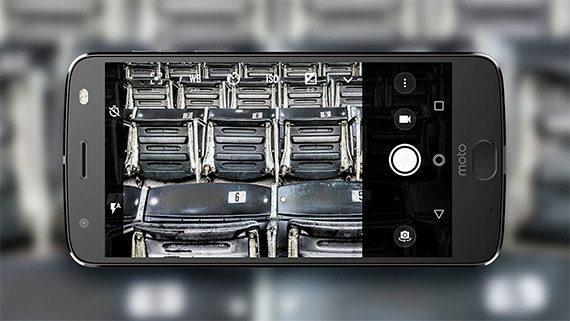 Moving on to the cameras, we can see that the Sonim XP8 sports a 12-megapixel rear camera (uses the PDAF technology and it can film 1080p videos at 30 fps) and a 8-megapixel front camera suitable for selfies. Just like almost all other rugged smartphones, the rear camera performs decent at best in good light but under-performs in low-light, but, let’s be honest, you won’t use the Sonim XP8 as your main shooter anyway. Now let’s have a look at the battery. The XP7 had a quite impressive 4800mAh battery that could deliver up to 48 hours of normal usage and the Sonim XP8 aims to top that with its equally impressive 4900 mAh removable battery which, similarly to its predecessor, it will take about two full days of medium to high use until you’ll need to recharge the battery (the XP8 features the Fast battery charging tech Quick Charge 4.0). One last appealing ‘feature’ is the three year warranty. 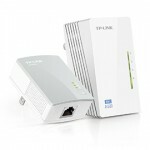 Just like the XP7, the Sonim XP8 will be replaced if it breaks, without questions asked. Verdict: The Sonim XP8 does feel like it is indestructible and, even if it made significant improvements in both looks and performance, it still isn’t entirely suitable for the wider audience (and I’m not sure that it tries to). 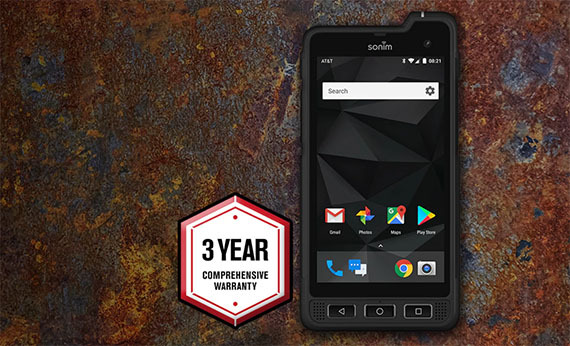 That being said, the Sonim XP8 is definitely one of the most rugged smartphones available in 2019 and its mid-range performance will be enough for most of its users, while it will also be a great addition to not only workers in tough environments, but for people that practice outdoor sports as well. So, the 5-inch mini-tablet which can make calls is a smartphone, right? Well, yes and no. 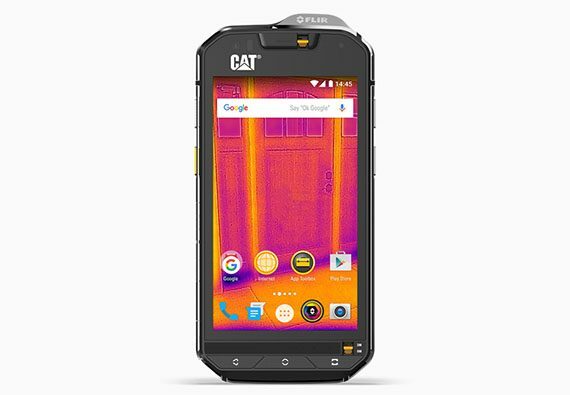 It certainly has all the functions of a normal smartphone, but the way it is built and the additional features it has, sets it apart even from the rest of the rugged smartphones and the closest device that I could find is the Cat S60 (since it has also narrowed its niche by using a thermal imaging camera). I held myself back for a while to include this product for more than a couple of reasons: it is unfortunately not suitable for the usual consumer, it’s specifically built for industry workers and I doubt you’d like to carry one around since it is huge. That’s right, the Toughpad FZ-E1 features a really thick case (which measures 3.4 x 6.5 x 1.2 inches), a rounded back panel to keep the device comfortably in your hand and there’s an optional strap which will go around your palm to make sure there is absolutely no way you’ll ever drop this rugged smartphone (tablet or phablet?). The sides of the Toughpad FZ-E1 are made of a black rubberised material and there are lots of ports covered by flaps all around the device: on the top, there’s a 3.5mm headset jack covered by a protective cover, an 1D/2D barcode reader (not all models have this feature) and a Power button (if the temperature of the device is equal or less than 10.4 °F, the indicator will flash an orange and green colour and the Toughpad FZ-E1 will not turn on until the temperature rises above the aforementioned degrees). On the right side of the device, there’s an interface cover with a lock switch, which hides a DC input jack and a microUSB port (both can be used to power up the ToughPad), while underneath it, there’s a dedicated camera button and what Panasonic calls a cradle rail. On the left side, you can find the volume controller, a side button (used along with the barcode reader, but it can also be reprogrammed) and a second cradle rail, while on the back side, the large cover can be removed to reveal a removable battery and underneath it, there is a card access cover. As a side note, the Toughpad FZ-E1 also has an internal NFC antenna. The large part of the front side is occupied by the 5-inch TN-LCD display, which has a resolution of 1280 x 720 pixels, a pixel density of around 294ppi and up to 500cd/m2 brightness levels (which, in addition to the anti-reflective and anti-glare layers, makes the screen perfectly usable under direct sunlight). Smartphones had a tendency to go upwards towards the 5.5-inch spot, but have recently reduced the size towards the more manageable 5.1 to 5.3 displays. The Toughpad FZ-E1 is pretty much where all the other smartphones are right now with its 5-inch display, but you can’t really expect too much from it since it was created to be functional and less about entertainment: the pixel density is a bit low, the colours aren’t really as vibrant as what other cheaper phones from the competition have to offer and the viewing angles aren’t that great, but that seems to be expected with almost all rugged devices, since the only ones to offer a great display are the ones to offer the least amount of protection. On the plus side though, the screen of the FZ-E1 is operable with gloves and it senses rain drops, therefore preventing the activation of the screen by water droplets (the process involves limiting the touchscreen multi-touch usability from 10 fingers to just one finger). Now, since this is a rugged device, it is expected that the screen won’t shatter easily and this is true for the most part since it can be dropped from 10 feet without taking any damage (the thick border that surrounds the display plays an important part) and it will survive without problems a lot of drops (yes, even face-first ones – it’s surprisingly difficult to destroy this device). 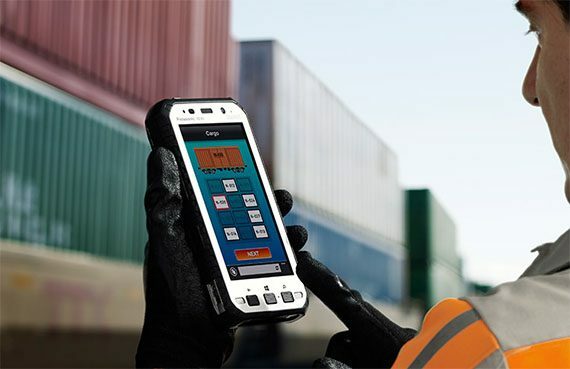 Furthermore, the Toughpad FZ-E1 is also MIL-STD-810G certified, so it can handle both high and low temperatures (the operating range is between -4 and 140 degrees Fahrenheit), explosive atmosphere, humidity, sand and dust, vibration (including loose cargo transportation), shock, freezing rain, acidic atmosphere and more. The device is also certified ANSI 12.12.01 for hazardous environments, so it can be used where there are gas or vapour hazards, in locations with ignitable gases, vapours or liquids, as well as in environments with lots of chemical dust, hydrocarbons, fuels, solvents and carbon monoxide. As expected, the Toughpad FZ-E1 is also water resistant, being IP68 rated, so you can submerge it down to 5 feet underwater for about 30 minutes and it’s also IP65 rated, which means that it can easily handle high-pressure jet sprays. One other curious, but interesting feature is the internal heater which has the role to warm up the device in case it gets below 10.4 °F (you need to activate the function to switch the Heater to Auto from the interface). Inside the case, the Panasonic Toughpad FZ-E1 is equipped with a quad-core Qualcomm MSM8974AB chipset clocked at 2.3GHz, an integrated Adreno 330 graphics card, 2GB of RAM and 32GB of storage memory. Both the E1 and the X1 can have their internal storage augmented up to another 64GB by using a microSD card. The Qualcomm Snapdragon 801 was one of the preferred chipsets more than a couple of years ago for the flagship smartphones (around the time the Toughpad FZ-E1 was released) and even today, it will handle resource-heavy apps and even the more recent games without problems (even if there aren’t that many apps for the Windows platform). The ToughPad FZ-E1 uses the Windows Embedded 8.1 Handheld OS, which is perfectly suitable for line-of-business handheld devices (the smaller Panasonic ToughPad FZ-F1 comes with Windows 10 IOT Mobile Enterprise). 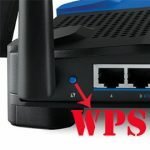 Surely, the OS allows for a good integration with various software from tech and industry companies, but I expect an update to Windows 10 IOT Mobile Enterprise as soon as possible from Panasonic (this type of OS updates may take a longer time for industrial tech since companies don’t like to fully upgrade to different versions of the OS until it is absolutely necessary – such as end of life warnings). Next, the FZ-E1 is equipped with an 8-megapixel rear camera (with LED flash and auto-focus) and a 1.3-megapixel front camera (relatively suitable for video conferences and nothing more). The rear camera will take reasonable photos in good lighting and especially outside in a sunny day (although there was a bit of overexposing), but indoors and during the night the photos were full of noise and blurry. Overall, these are indeed tablet-level cameras and won’t really satisfy if you want to use the phone as a main camera on holidays (not that anyone would want to do that), so the device is once again suitable for enterprise use (to scan QR codes or for photographing schematics or other type of documents). One of the most important aspects of any smartphone or tablet (rugged or not) is the battery life and it seems that Panasonic did not held back in this chapter equipping the Toughpad FZ-E1 with a high capacity 3.8V 6200mAh battery which is both replaceable and hot swappable. 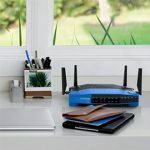 Panasonic claims that the battery can take up to 14 hours of continuous data access (WiFi+continuous web-browsing), up to a full day of talk time and almost 1000 hours of standby (which is true for the most part since you could get about 9 hours if you add some gaming into the equation). Furthermore, the Toughpad FZ-E1 takes advantage of the Quick charging feature, so the battery will go from 0 to 50 % in 1 hour and 15 minutes and from 0 to 100 % in about 3 hours and a half. Verdict: Why isn’t the Panasonic Toughpad FZ-E1 the first in the list you may ask, since it’s such a great rugged device? Well, because it doesn’t really follow the same guidelines of the usual smartphones (or tablets, for that matter) and, while it’s true that rugged cell phones, in general, are more niche devices, the Panasonic Toughpad FZ-E1 is even more narrow into the targeted audience. To be more specific, this belongs in a warehouse with industrial workers and I highly doubt I’ll ever see an active person running with this mammoth strapped to their arm. That being said, the Panasonic Toughpad FZ-E1 is pretty much the pinnacle of ruggedness, having a screen resistant to shock, the case can handle pretty much everything you throw at it, it has some awesome features (suitable for an industrial environment), but there are some minuses, since software is a bit outdated, the cameras are nothing to brag about, the device is incredibly thick (there is no chance you would put it in your pocket) and the most important negative is the incredibly high price. 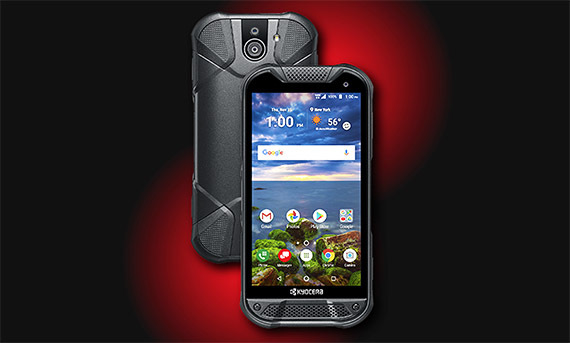 The Kyocera DuraForce Pro 2 is the latest handset from the Japanese manufacturer to join the rugged smartphones market as a successor to the DuraForce Pro in an effort to improve some key elements and make the device more suitable for the exigences of the 2019. But, despite people craving for an elegant, yet rugged smartphone, the manufacturers are still having a hard time to keep their devices slim and with the latest features, while also being resistant against drops or other mechanical shocks. Samsung and Motorola have made some interesting advancements with their waterproof and dustproof Active and Force series, but it’s worth noting that Kyocera has also pushed its rugged smartphones towards a more modern design, so while the Kyocera Brigadier was already a better looking rugged smartphone than its competitors, the DuraForce Pro 2 got a bit closer to the more elegant non-rugged flagships. At the same time, it doesn’t differ that much from its predecessor even if it comes with a redesigned case and it still carries the signature look, has better internal hardware and the same iconic sapphire screen. As expected, you won’t find the glass and metal combination (which is definitely attractive, but fragile) and instead, you get a mix of polycarbonate and thick rubber. 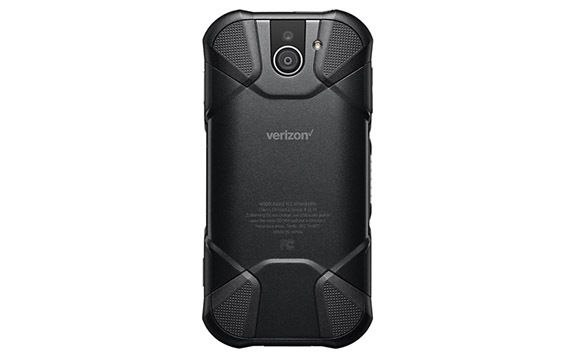 The case has a curved back, soft rounded corners – it’s less curved than the DuraForce Pro 2, the lateral sides protruding towards both the bottom and the top sides. Furthermore, on the rear panel, there are four patches of texturized rubber that slide towards the screen and, on centre of the rear panel, the plastic is a lot smoother. All around the case, you can find pretty much the same buttons and ports as on any other smartphone (yes, it has a headphone jack), with every port opening being covered by protective flaps and, unfortunately, Kyocera decided to get rid of the three front buttons for Back, Home and Recent and instead, it went with capacitive buttons – this hasn’t been the best decision because the physical buttons remained operational in every type of environment (as a bonus, there are front-facing speakers). The PTT/Programmable key has been kept from the DuraForce Pro (by default, it will activate Verizon’s push-to-talk service, if you use Verizon, but you can program it to either launch any app or to automatically send help texts and the GPS location in case you get lost or are in danger), as well as the Fingerprint Sensor on the Power key (this feature has now become a standard even on rugged phones). Because of the curved back, the phone fits comfortably inside the palm of the hand, but the increased size over the DuraForce Pro 2 will not go unnoticed, since it now measures 5.91 x 2.89 x 0.53 inches and it’s got a bit heavier (8.57 oz). The bigger size means more screen real-estate, but bigger smarphones are usually more fragile and more prone to breaking than any other smaller handsets (until better technologies are developed, I’m not sure rugged smartphones should go over 5 inches). Another interesting aspect is that I found it hard to fit the phone in my pocket because of its thickness (so keep that in mind before purchasing). That being said, the main attraction of any phone is the display and Kyocera has equipped the DuraForce Pro 2 with a 5-inch IPS LCD display that features 16 million colours, a resolution of 1080 x 1920 pixels and a pixel density of 441ppi (so, nothing has changed in this department). Furthermore, you get the same Sapphire Shield protection, so the display becomes virtually unscratchable and it is a bit harder to break than the traditional screens (if it falls at a odd angle, the screen will shatter into pieces instead of cracking like the usual Corning Gorilla Glass protection). Similarly to the DuraForce Pro 2, the display is greatly improved over the dim Kyocera Brigadier, so, even for a sapphire screen, you can clearly see everything even under direct sunlight. Still, you should not expect the vividness of AMOLEDs or the true colours of iPhones, but the DuraForce Pro 2 does a fair job on delivering a good visual experience, with images and text being crisp and clear, the colour accuracy is reasonably good and it has surprisingly good viewing angles. What I found annoying is that Kyocera left so much space unused on the front, while the display of so many other smartphones cover almost completely the front side (except for the dreaded notch). Note: You can use the touch-screen even if you are wearing gloves or if your fingers are wet. Similarly to Kyocera DuraForce Pro, the DuraForce Pro 2 has a Military Standard 810G certification, so the phone should withstand low pressure, temperature shock, any contamination by fluids, humidity, solar radiation, high altitude, mechanical vibration, pyroshock, icing or freezing rain and more, which makes the handset perfect for working in industrial fields (the device is also Class I Division 2 rated, so it can be used in hazardous places without causing explosions). This should ensure a serious protection from the elements and in case you accidentally drop it, know that the screen is not unbreakable (as said before), so be aware that if you drop it on a sharp object face first, it could shatter (there is a lip around the display which will definitely help a lot with keeping the screen’s integrity intact). Furthermore, the phone is IP68 rated, which means that it is protected against dust and it is waterproof, meaning that it can be temporarily immersed under water. 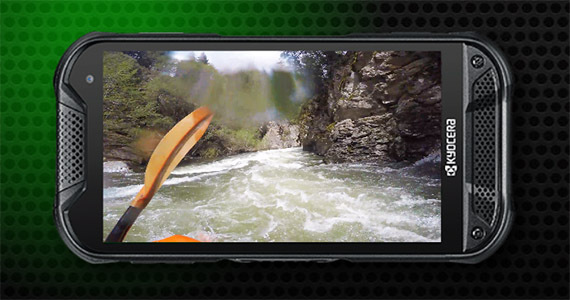 To be more precise, the DuraForce Pro 2 will allow you to go as deep as 6.5 feet for up to 30 minutes and, at the same time, there is the Underwater Mode for all the camera options (you can film and capture photos under water). And that leads us to the cameras. On the rear side, the DuraForce Pro 2 features a main 13-megapixel camera, with autofocus, LED flash and HDR, and a secondary wide-angle 8-megapixel camera (an upgrade from the 2-MP of the previous model). In good light, the camera can capture some really good photos, with accurate colours, a low amount of noise and an overall good exposure. In low light, the camera struggled a bit, capturing photos with a lot of noise and grain. The secondary wide-angle camera is definitely an interesting addition, because it can capture super wide-view 4K videos (and the upgrade to the 8-megapixel sensor is definitely noticeable). The front 5-megapixel camera (no upgrade here) is good for selfies, but again, it will do a decent job in good light, but not so much indoors and in low-light environments. Another great feature that’s been developed for the DuraForce Pro 2 is the advanced echo and active noise cancellation using four microphones which have the role of counterbalancing the external sounds, allowing you to better make phone calls (even using the speaker option) or simply listening to music or videos. On the inside, the DuraForce Pro 2 is equipped like a mid-range smartphone, sporting an octa-core Qualcomm Snapdragon 630 chipset (octa-core 2.2 GHz Cortex-A53 CPU), an Adreno 508 GPU, 4GB of RAM and 64GB of internal storage memory, which can be augmented by 512GB using a microSD card. This hardware is specific to a mid-range handset and the performance will be as expected: great at multitasking, but not the best with 3D games that require a lot of resources. The phone also runs on Android v8.0 Oreo, but it has some pre-installed elements from Kyocera and some more from its carrier (the DuraForce Pro does not have an unlocked version, for now) – thankfully, the 4 GB of RAM will make a difference to contain the bloatware from the carrier. Ignoring the carrier apps, the interface is reasonably clean and Kyocera added only a few native applications, such as the Outdoor Portal, which is a good tool for checking the weather, the real-time position of the moon and the sun, the correct altitude and even the tide with a fish activity rating. There’s also the Camera Underwater Mode which basically disables the touch-screen and let’s you control the phone using only the physical buttons. The last aspect that I would like to cover is the battery life. Just like the Duraforce Pro, the Pro 2 comes with a non-removable 3240 mAh battery which will get you through a full day of medium use (in the continuous loop video test, the battery died after almost 7 hours). The good news is that the phone comes with the UBS Type-C fast charging, so the battery will charge up to 60 % in about half an hour and there is support for the Qi wireless charging, but the charging pad is not included. Verdict: The Kyocera DuraForce Pro 2 is definitely a better smartphone than the Kyocera Brigadier, but less of a significant upgrade over the DuraForce Pro 2 (although it does have a slightly better camera and more powerful hardware). At the same time, some improvements have been made to the overall ruggedness from its predecessor (the case it completely redesigned), but I’m not really a fan of not having the option to purchase this phone unlocked from the start and being forced to go through a carrier (which this time has added an annoying amount of bloatware). 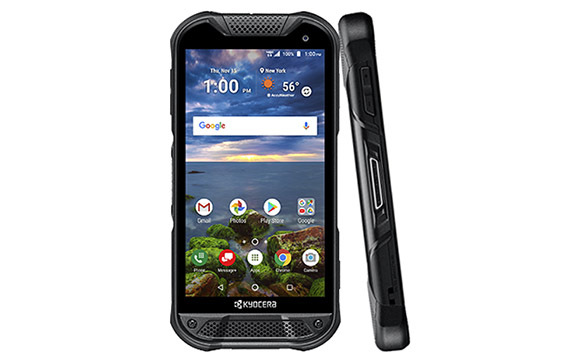 This is the main minus of the Kyocera DuraForce Pro and of course, I have already signalled all of its pluses, so if it’s not a problem for you to go through Verizon, this is a worthy smartphone for active people that like rock climbing and swimming. You shouldn’t really expect the level of elegance of the Samsung Galaxy S7 or iPhone 6S, because this is a rugged phone after all, but the S60 looks really good, despite its bulkier case (5.82 x 2.89 x 0.5 inches) and its weight (9.8 ounces). It features a carbon fiber back with a removable flap that hides the microSD and SIM card slots, the buttons from the edges are big, firm and easy to press (there is also an SOS flap that covers a SOS button, which sends your location to a list of predefined contacts and there are also two more covers, one for the USB port and the other protects the audio jack). The edges are smooth and rounded, so it makes it easier to hold the phone and not worry about it slipping. Furthermore, this phone can withstand a lot of punishment. It is drop proof, so it can endure drops from 6 feet onto concrete (IP68 certified) thanks to its reinforced die cast frame. Also, on the front, the edge protrudes a bit creating a bit of a lip around the display, so, along with the Corning Gorilla Glass 4 protection, it should ensure that the screen won’t shatter if dropped face-first. But, there is no guaranteed protection if the phone is dropped on a sharp object from a greater height. 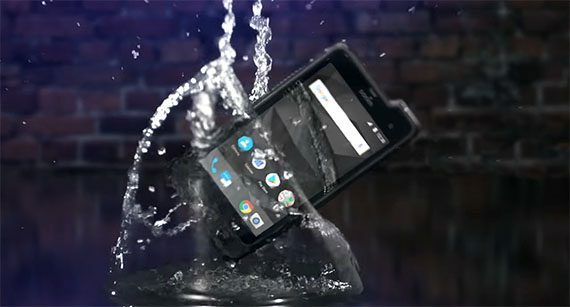 The Cat S60 can also be submerged under water down to 16 feet for 60 minutes, making it one of the most waterproof smartphones on the market. Additionally, you can capture photos and videos underwater, but you can’t make calls (obviously). Besides the fact that it’s a tough smartphone, the appeal of the S60 also comes from a surprising new feature, the built-in thermal imaging camera. The camera uses the MSX technology which allows you to capture clear thermal images, videos or time-lapse footage, it can retroactively pinpoint a temperature in the image and it can even ‘see’ in environments that have lots of smoke. The natural question would be what can you use it for. Well, we have to remind ourselves that this is a phone made by Caterpillar, so engineers, electricians or construction workers could make better use of it: for identifying insulation gaps, to discover electrical faults and so on. 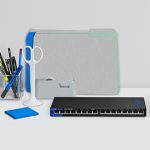 But, you can also use it for fun in everyday activities like discovering the freshest piece of bread, spotting wires before drilling holes into the wall or just pretend to be the alien from the Predator movie. Since we already talked a bit about the front of the phone, know that the S60 features a 4.7 inches a-Si AHVA display, with a resolution of 720 x 1280 pixels, a pixel density of 312ppi and 540 nits of brightness. Sure, the resolution is sharp enough for a 4.7in display and the viewing angles are solid, but I expected more considering the price tag. Also, the black level aren’t really deep (no way close to the AMOLEDs). On the inside, the S60 comes equipped with an octa-core Qualcomm MSM8952 Snapdragon 617 chipset (four 1.2GHz Cortex A53 and four 1.5GHz Cortex A53), backed by 3 GB of RAM, an Adreno 405 GPU and 32GB of storage memory (don’t forget that you can also add up to 256GB using the microSD slot). The S60 runs on Android 6.0 Marshmallow, an almost stock version that will definitely appease most users as it doesn’t annoy with additional useless apps (that sometimes are un-installable). On the back of the phone, there’s a 13-megapixel camera with dual-LED flash and the FLIR thermal camera (which we already talked about). On the front, you can find the 5-megapixel secondary camera. The problem with the main camera is that it isn’t on par with other similarly priced phone cameras, it shoots noisy photos if the room isn’t bright enough and in low-light or during the night, the performance doesn’t get any better. It’s not unusable, but not at the same level of other mid-ranged smartphones from the market (which, unfortunately was expected from a rugged phone). The Cat S60 is equipped with a 3800mAh battery (with the Quick Charge 2.0 feature), which means that you get around 30 hours of medium use. Verdict: The S60 is equipped a lot better than most other rugged smartphones in this list, it has lots of features and it also looks good. In terms of ruggedness, the S60 excels in every aspect, it is waterproof, dustproof and can handle lots of drops. Additionally, you also get the awesome thermal imaging camera. This means that it takes the fifth place in our list. But the problem is the manufacturing process, the sapphire screen is a lot more expensive than Gorilla Glass, is not environmentally friendly and the display would be a lot more dim, so a lot more battery consumption. Still, Kyocera opted for this type of screen hoping that it would be unscratchable and even if dropped face first onto rocks, the display would not shatter. The phone is well protected, it meets the US Department of Defence Military Standard 810G(which protects against a large array of possible damage agents like shock, vibration, extreme temperature, rain, low pressure, solar radiation, water immersion and more) and has IP68 rating. But what about the actual phone features? The Kyocera Brigadier’s design is not going to win any beauty contest, it is rather bulky, measuring 2.7×0.5×5.4 inches and weighing 6.6 ounces and it has three physical buttons (which is rare nowadays and also not elegant). The display is 4.5 inches, features a resolution of 1280 x 720 pixels and 523 nits, so the screen is very bright even on direct sunlight (this is a great thing because sapphire screens tend to be rather dim). Note: The screen is usable with gloves. Brightness is the only aspect that we liked about the display, the colour accuracy wasn’t too good and reached around 60 percent of the sRGB spectrum. On the inside, the phone sports a 1.4GHz quad-core Qualcomm Snapdragon 400 CPU backed by 2GB RAM, 16GB internal memory and a possible addition of up to 32GB with a microSD card. It has Android 4.4.2 KitKat that runs relatively smooth, we haven’t encountered any stuttering or lags. 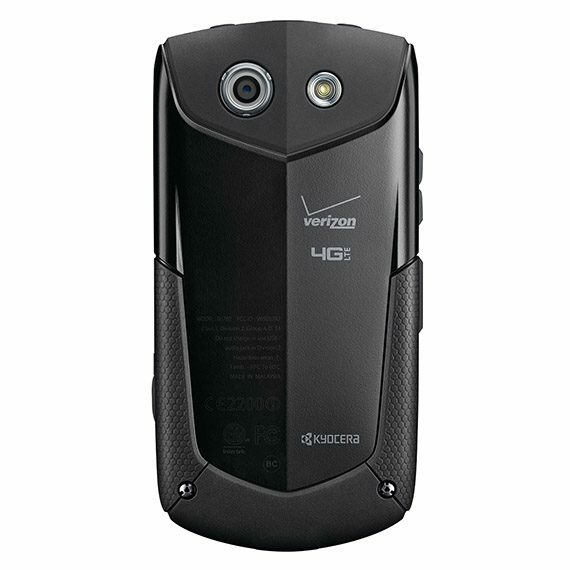 As a side note, be aware that the Kyocera smartphones are usually available as carrier-exclusives and the Verizon rugged phones do come with some amount of bloatware. Now let’s focus on the camera. There is a 8.0MP rear-facing camera and a 2.0MP front-facing camera. The rear camera is capable of shooting some decent photos under good lighting conditions. But overall, the photos do look a bit grainy and do lack some details, so we wouldn’t recommend this phone to anyone who wants a phone that can shoot great DSLR-like photos (even though the price tag may suggest so). The camera also features digital zoom, LED flash, auto-focus and can capture 1080p videos at 30FPS. The Kyocera Brigadier has a 3100mAh non-removable Lithium Ion Battery that can deliver up to 24 hours on normal use and about two weeks if on standby. Yes, the Kyocera Brigadier does have a few minuses, it may not have the best display or camera and battery life could have been better, but this phone was constructed to survive in tough environments, even if being subjected to extreme conditions and it does all this really great. Verdict: The phone can survive under extreme conditions, the screen can’t be shattered easily and it has a mid-range phone performance. 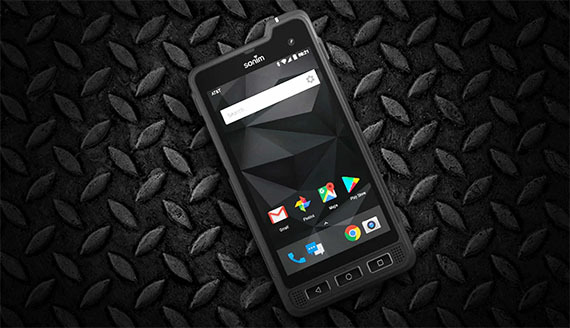 Considering the other candidates for rugged smartphones and the price tag, the Kyocera Brigadier takes the sixth place for the best rugged smartphone on the market. Perhaps the Chinese market is a lot more competitive when it comes to this type of smartphones, so the manufacturer had to gain an edge over the competition, therefore it released the Blackview BV9000 Pro which, as expected, borrows some elements from the flagship devices of 2017, such as the larger screen, small bezels and dual cameras. That being said, let’s see if Blackview managed to harmoniously combine all of these new trending elements with a rugged case which will be able to survive a rough environment, while also keeping the price at an acceptable level. Blackview likes to challenge the way a rugged phone should look like a lot more often than other manufacturers and, while keeping a similar design to all its smartphones from the series, it has made some more noticeable changes with each new iteration. 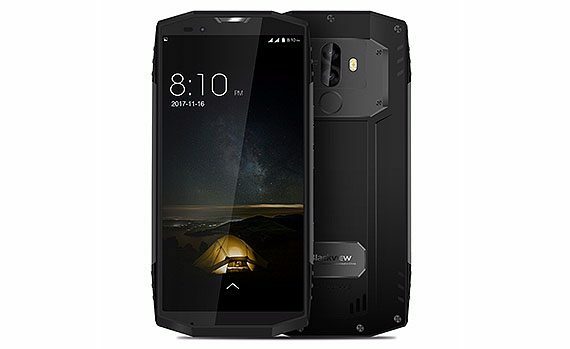 So, the Blackview BV9000 Pro has a CNC metal frame surrounding the body of the smartphone, while the front section is now mainly home to the now larger display and, around it, there are slightly narrower bezels. But, in order to accommodate a bigger display along with a rugged case, Blackview had to significantly increase the dimensions of the phone (it now measures 6.3 x 3.1 x 0.5 inches and it weighs around 0.55 pounds), so it is a lot harder to manoeuvre, although the now octagonal shape and the slightly inflated rear side will improve a bit the way the phone sits in the hand. 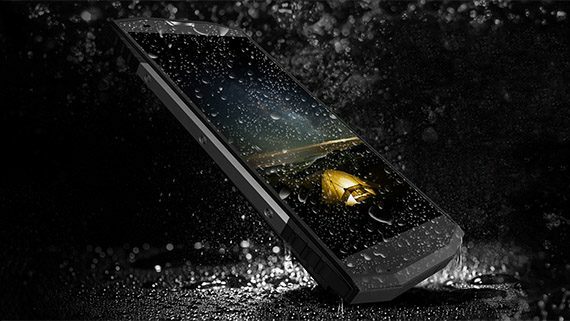 Similarly to pretty much all other Chinese rugged smartphones, the Blackview BV9000 Pro also has various metallic parts attached to the main body, which, in reality, don’t serve a higher purpose than just for the visual appeal. The metallic sections come in three variants: stone grey, ice silver and sand gold. Furthermore, on the right side of the BV9000 Pro, positioned on the metallic section, there’s a volume controller, a Power button and a dedicated Camera switch. On the rear side, inside the larger metallic part, there’s the dual-camera setup and the flash LED, while underneath them, Blackview decided to position the fingerprint reader (which is fast and responsive). Underneath the display, the bezels are now narrower than on the BV8000 Pro and it seems that it also decided to get rid of the annoying IP68 logo (which served absolutely no purpose than to undermine the overall look of the rugged smartphone). I liked that Blackview has kept the USB type-C port for charging (on the bottom side, covered by a protective piece of plastic), but, while I appreciate the dual-SIM tray on the top side (also covered by a protective piece of plastic), I noticed that the manufacturer decided to remove the 3.5mm headphone jack, so the user will now have to use the provided USB to jack in order to listen to music with the headphones. This, and the fact that there are no physical buttons that allow you to operate the interface are huge minuses from the convenience point of view and it really is an uninspired decision considering that this is a rugged smartphone. 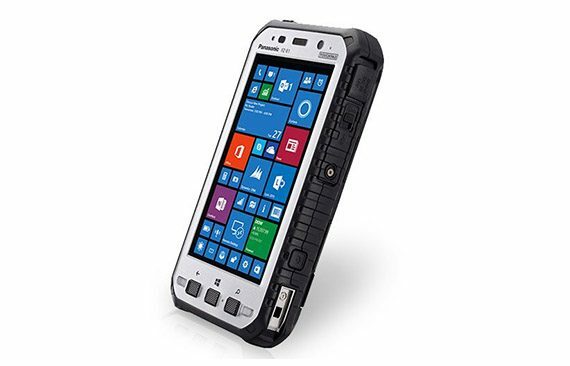 The BV9000 Pro has kept the same IP68 protection against dust and water (it can be submerged underwater down to 5 feet for up to an hour), but just like the previous generations, it still doesn’t carry any MIL-STD certifications, which would further ensure the user that some tests were performed to affirm the smartphone’s ruggedness. Around the screen, the rubber edges extend a bit to form a protective lip which should ensure that the display will survive in case the user drops it face first, although such a large screen could be at risk if it would fall on sharp rocks (the Gorilla Glass 5 protection is there just for scratches and it won’t provide any additional protection). On the front, the BV9000 Pro features a 5.7-inch IPS HD+ capacitive touchscreen display, with 16 million colours, a resolution of 1440 x 720 pixels, 18:9 aspect ratio, a pixel density of 282 ppi (the new aspect ratio will deliver a more immersive gaming and movie watching experience). The viewing angles are great, as expected from an IPS (178 degrees) and the 420 cd/cm2 maximum brightness should be enough for the screen to remain visible even under direct sunlight. Inside the case, the BV9000 Pro is equipped with an octa-core MediaTek MT6757CD Helio P25 chipset (quad-core 2.3GHz ARM Cortex-A53 CPU & quad-core 1.6GHz ARM Cortex-A53 CPU), an ARM Mali-T880 MP2 GPU (clocked at 900MHz), 6GB of RAM LPDDR3 and 128GB of storage memory (the phone also allows the user to add up to 256GB using a microSD card). The performance of the chipset comes quite close to the performance of the Snapdragon 625, but, the GPU will behave a bit better with resource-heavy games. As a side note, the BV9000 Pro features NFC. The Blackview BV9000 Pro’s interface is built on top of the Android 7.1 Nougat OS, so there aren’t that many differences when compared to its predecessor: the UI is still modified, but without much bloatware, the Toolbox is still present and the BV9000 Pro now prides itself with the SplitScreen function which is now a lot more useful since we’re dealing with a larger display. For whatever reason, Blackview decided to skip the latest Android 8.0 Oreo and, since most (if not all) rugged smartphones manufacturers dislike the idea of updating their devices to a newer Android version, there is a chance that the BV9000 Pro may be stuck with the present UI before reaching EOL (which may not be that far considering the rate at which the manufacturer releases their rugged handsets). Besides the 18:9 aspect ratio, Blackview has added a new element that has been trending in the smartphone world: a dual-camera. So, positioned on the rear side, rests a 13-megapixel main shooter (Sony IMX), with an f/2.2 aperture and dual-LED flash, and underneath it, there’s the secondary 5-megapixel camera also with an aperture of f/2.2 which has the role of enhancing the quality of the captured photos. In general, the rear cameras were able to capture decent shots, with a good colour balance and without overexposing, especially in brightly lit sceneries, but, because it lacks OIS, you need to have a steady hand indoors and in dimly lit environments, otherwise, you’ll end up with lots of noise and blur. On the front side, there’s an 8-megapixel camera which was more than suitable for selfies and for conference calls. 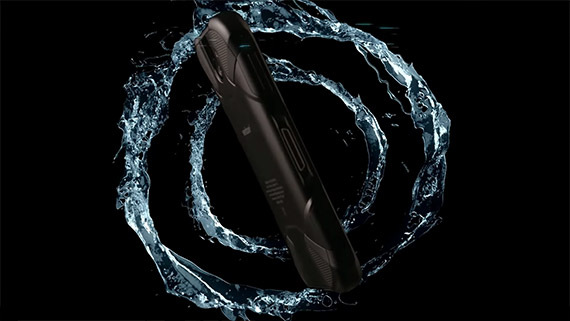 Similarly to the BV8000 Pro, the Blacview BV9000 Pro comes with a non-removable 4,180 mAh Lithium-Polymer battery which can deliver up to 2 days of light to moderate use and will also allow a more demanding user up to 10 hours of screen-on time. 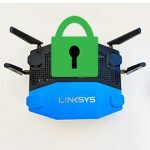 The battery can be fully charged in about 2 hours and a half and, inside the box, you’ll notice an OTC cable which can be used to charge other devices directly from the phone. Verdict: I was pleasantly surprised by the many interesting and modern features of the Blackview BV8000 Pro, but I am not sure if a new rugged device was necessary less than a year later. Clearly, the BV9000 Pro has made some improvements from the design point of view, as well as the cameras and functionality, but it does raise some concerns about the longevity of the support for these devices. If you put the Samsung Galaxy S8 and the S8 Active next to each other, you will undoubtedly notice that the latter lost the full metallic body in favour of a mix between polycarbonate (for the rear side) and a metal frame with hard rubber bumpers around it. Furthermore, the corners have lost a bit of finesse and, while the main appeal of the S8 was the bezel-less approach, the S8 Active needed these larger bezels to offer an increased level of protection. The S8 Active has also gained a bit in size and weight (it measures 5.98 x 2.95 x 0.39 inches and weighs 7.34 oz), which is perfectly normal for a rugged cell phone and because of the case construction, you do get a lot more grip than you would with the Galaxy S8 (I also felt that it sat better in my hand). Along the side, the S8 Active has the same buttons and ports layout as the S8: on the left, there’s the volume controller and the Bixby key (which replaces the customizable Active button from the previous generations), while on the right, you can find the Power button and on the bottom side, there’s a 3.5mm headset jack and the USB Type-C 1.0 charging port. On the rear side, besides the camera and the fingerprint sensor, the S8 Active is also equipped with a Heart rate sensor, which may prove to be useful for some people, while a simple gimmick for others. 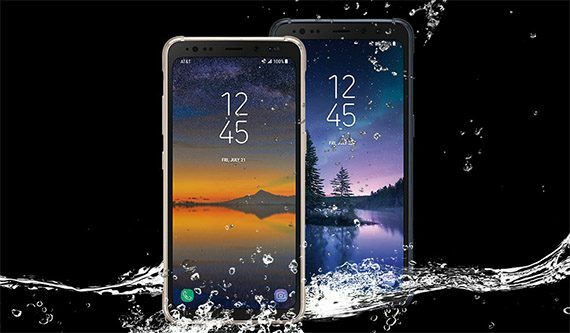 The Galaxy S8 Active is IP68 certified, so it is protected against dust particles and it is waterproof, allowing you to submerge it underwater down to 5 feet for about 30 minutes (it’s better to use it with fresh water, since salt water is corrosive). The S8 Active is also MIL-STD-810G compliant, which means that the smartphone has been tested (and survived) 21 tests in various environmental conditions, which include extreme temperatures, shock and vibration, humidity, low or high altitude (I wasn’t able to find the exact tests that have been conducted, so far). Taking into account the way it was designed, the S8 Active will definitely survive any drop from about five feet onto flat surfaces (such as the pavement) even at odd angles and you will, most of the time, just have to deal with some minor scuffs and nothing more. If the phone will fall face-first, there is a slight lip that will protect the display and it seems that Samsung went a somewhat similar route as Motorola Moto Z Force series and made the screen less vulnerable to damages (the screen is made of glass, but it uses a shatter-resistant plastic layer). That being said, on the front of the device, there’s a large 5.8-inch Super AMOLED display, with 16 million colours, a resolution of 1440 x 2960 pixels, 568 ppi pixel density (which is very little below the 570 ppi of the S8) and it is protected by the latest Corning Gorilla Glass 5. Even if last year’s S7 Active had a great display, the increased screen real-estate has proven to be a huge improvement, especially while watching videos or movies with a 21:9 aspect ratio. The panel is what you would expect from a Super AMOLED, the black levels are very deep, the white levels are proper, colours are incredibly vivid, with a lot of contrast and the display has excellent viewing angles. The display will remain visible outdoors in bright sunlight, since it can reach pretty high brightness levels (the S8 can go over 1000 nits). 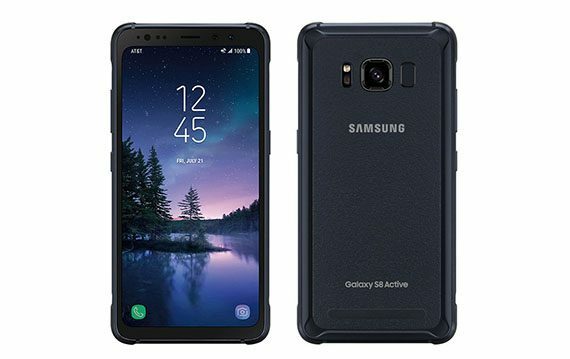 Inside the case, Samsung has equipped the S8 Active the same way as the standard S8: there’s the latest octa-core chipset from Qualcomm, the MSM8998 Snapdragon 835 (with the quad-core 2.35GHz Kryo CPU and quad-core 1.9 GHz Kryo CPU), an Adreno 540 GPU, 4 GB of RAM, 64 GB of internal storage and, using the dedicated slot, you can add up to 256 GB. The overall performance was very consistent and pretty much the same as the Galaxy S8: it’s not the fastest phone on the market, but the apps loaded quickly, multitasking was no challenge for the smartphone thanks to the 4GB (could have been more) and it will run any resource-heavy game you will throw at it without problems. The S8 Active’s TouchWiz interface runs on top of the Android 7.0 (Nougat) platform (it will undoubtedly be updated to the latest Android O) and you get the same experience as with the Galaxy S8, the only difference being the Activity Zone app which gives you access to weather info, your step count, the compass, the flashlight and so on. The UI also features Bixby, which is the equivalent of Siri and Cortana (personal assistant), you can opt to use Samsung Pay (it’s MasterCard and Visa Certified) or Samsung Health and, since we’re talking about a carrier exclusive, you’ll get some bloatware from AT&T. On the rear side, the S8 Active is equipped with a 12-megapixel camera, which has an f/1.7 aperture, 1/2.5″ sensor size, 1.4 µm pixel size, Optical Image Stabilization and LED flash (the camera can record 2160p videos at 30fps and 1080p videos at 60fps). While the Galaxy S7 had one of the best phone cameras of 2016, the S8 and the S8 Active have the best camera of 2017 and it has set a new standard for the other manufacturers. Outdoors and in good light, the pictures were well exposed, had accurate colours, good contrast levels and an excellent amount of detail (also, the autofocus was very fast). In low light, things did not change significantly, the pictures has a lot more detail than last year’s S7 and the colours remained natural and well balanced. On the front, there’s a 8-megapixel camera, with an f/1.7 aperture and autofocus. Similarly to the rear shooter, the camera handles things really well, making it perfect for selfies and for video conferencing. 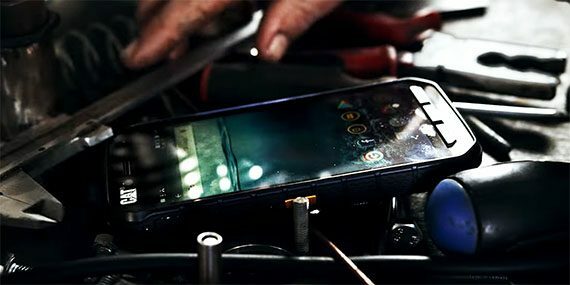 One important element of a rugged smartphone is the battery life and Samsung Galaxy S8 Active doesn’t disappoint, being equipped with a non-removable Li-Ion 4000 mAh battery (a significant upgrade over the 300 mAh of the S8, but the same as the S7 Active – I expected Samsung to be a bit bolder since this is not an inexpensive device). 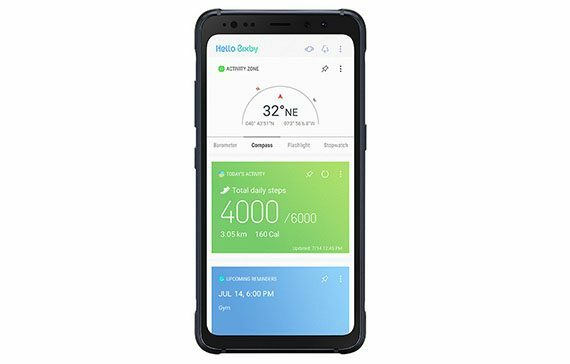 The battery will power the smartphone through two days of moderate use and I got about 11 hours of screen-on time with the brightness set to 70 percent. Furthermore, the S8 Active takes advantage of the fast charging technology (Quick Charge 2.0), so you’ll quickly get your smartphone up and running. Verdict: Samsung is one of the world leader when it comes to building a high-end rugged smartphone and the Galaxy S8 Active is proof of that. It has a great display, a good battery life, it has a stellar performance and most important, it can survive an active lifestyle and the only shortcoming that I could think of is the price tag. I don’t think it comes as a surprise that a Motorola (Lenovo) smartphone made its way into a best-of list of rugged handsets, especially since Motorola went into the spotlight with the Droid Turbo 2, which attracted everyone’s attention with its advertised shatterproof display. 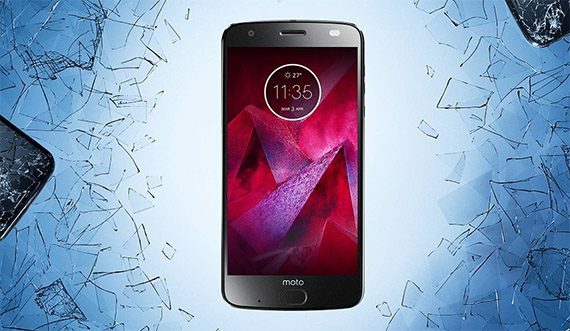 As expected, the people rejoiced at the prospect of having their phones fall face-first and not shatter and, since the Droid Turbo 2 held true to the claims, the shatterproof protection has been implemented into other future iterations, which brings us to the Motorola Moto Z2 Force, the second generation after the quite popular modular Moto Z Force. Similarly to its predecessor, this smartphone isn’t suitable for industrial, harsh environments (it won’t survive this type of extreme conditions), but, it offers what every active person dreams of: a virtually unbreakable display. 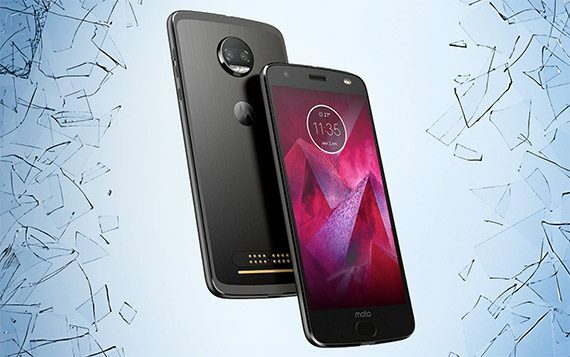 The Motorola Moto Z2 Force is a significant improvement over the mid-ranger Moto Z2 Play for people that want a far better performance and more protection thanks to the shatterproof protection. The Moto Z Force was a bit thicker than the Moto Z (which was and still is one of the thinnest smartphones on the market) and the Moto Z2 Force has kept a very similar thickness, but it has lost a bit of weight (its dimensions are 6.13 x 2.99 x 0.24 inches and the weight is 5.04 oz, as opposed to the 5.75 oz of the Moto Z Force), but, this does not have a big impact on the overall look of the phone and most users won’t even notice any difference between the two smartphones. The Motorola Moto Z2 Force still has the same flagship-level of elegance as its predecessor, featuring a stainless steel back panel which is now smoother (it lacks the those hard horizontal lines and it has a noticeable bezel surrounding the panel), so it sits a lot more comfortable in the palm of the hand – similarly to the Moto Z Force, it accommodates the metal pins for any additional mods and the rear camera. The case has soft rounded corners and, on the front, there’s the 5.5-inch display and a slightly oval button which has a fingerprint sensor underneath (Lenovo decided to ditch the square shape of the previous generations), but it does not act as a Home button. 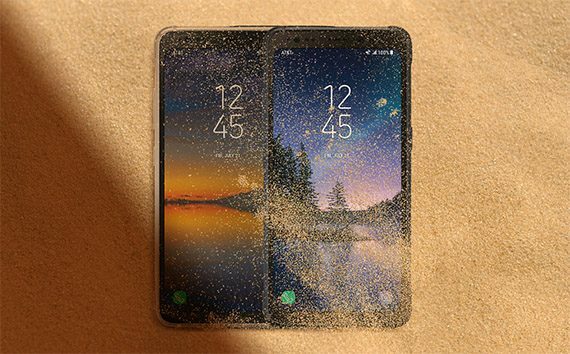 No, there are no rubber edges or elevated bezels to protect the display and by looking at it, you won’t find any noticeable signs that this is a rugged device, but, here’s the deal: if you take one of its main competitors, the S7 Active and drop both phones face-first on sharp rocks, the Z2 Force has a higher probability of surviving with maybe some minor scratches on the case and nothing more. To accomplish this, Lenovo did not do some black magic or anything, but instead of using the usual glass screen with a Corning Gorilla Glass protection, it used a multilayer combination of glass and plastic to accomplish a more flexible display which will remain intact even if the phone is dropped at odd angles (as manufacturers like to say when they void your warranty). There are some minuses though. First, this may be the only phone where you want to drop the phone face-first and not on it back, since the camera lens is covered by glass, so it is a lot more fragile and will shatter easily (a protective case should solve this problem). Secondly, it’s not fully water-proof. 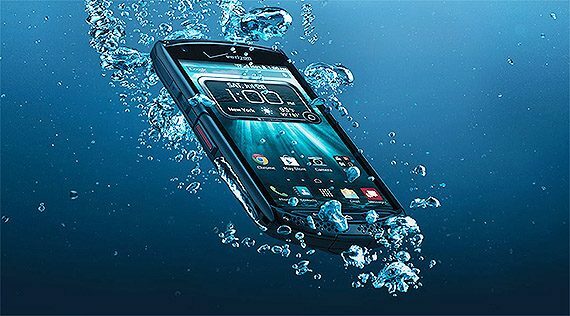 Motorola (Lenovo) did say that the phone will survive splashes of water, but, I would advise against fully submerging the device underwater. Lastly, there is still no headphone jack (I have no idea why this is a thing right now, but I hope it’s a trend that doesn’t stick). When it comes to rugged or simply tougher smartphones, manufacturers tend to pour a lot of the budget into making a proper, shock-absorbing body, so one wouldn’t need a case, but, more often than not, they fail to actually create a reliable smartphone. So, you get to pay premium prices for an average performance, a below-average camera and a disappointing display with a low resolution. That’s why it’s important to see if you actually need a fully rugged smartphone (that looks like a tank) and not just a tougher one, which is usually slimmer and can be protected by a case. Fortunately, the Moto Z2 Force has kept pretty much all the elements expected from a flagship device (unfortunately, including the price). So, the Moto Z2 Force features a 5.5-inch AMOLED display with a resolution of 1440 x 2560 pixels, 16 million colours and a pixel density of 534 ppi. The display of the Moto Z2 Force is not really that different from the Z Force and the protective shaterproof screen still takes away a bit from the vibrancy and the brightness of the image. Even so, the display of the Z2 Force is able to produce reasonably deep black levels, vivid colours and overall, the images look decently vibrant and with punchier colours than some other displays on the market. Inside the case, the Z2 Force is equipped with a octa-core Qualcomm MSM8998 Snapdragon 835 (quad-core 2.35 GHz Kryo and quad-core 1.9 GHz Kryo CPU) which is an improvement over the quad-core MSM8996 Snapdragon 820 chipset of the Moto Z Force; there’s also the Adreno 540 GPU, 4 or 6 GB of RAM, 64 or 128 GB of internal storage (depending on the model) and a possible addition of up to 256 GB using the dedicated card slot. As you can see, there are no compromises done from the performance point of view (something way too common with fully rugged smartphones, in order to keep the price tag as low as possible). These specs are something normal for a flagship from the last year and, as expected, it performed wonderfully with pretty much everything I threw at it. It handles a high degree of multitasking (the 4/6GB of RAM do help a lot), any game will run without problems and overall, the hardware is properly tied to the software. That being said, the Moto Z2 Force’s interface is built on top of the Android v7.1.1 Nougat (Sprint is rolling out the upgrade to Android v8.0 Oreo) and, as expected from a Moto phone, the user interface is pretty much close to stock, with only some minor additions (such as Moto Actions and Moto Display). 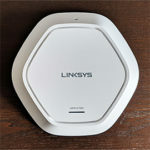 This will appeal especially to the Android ‘purists’, since there is close to no bloatware. Furthermore, similarly to other flagship handsets (the LG G6 and the Galaxy S8), the Moto Z2 Force features a dual-camera setup consisting of two 12-megapixel rear cameras (one monochrome and one RGB) with a f/2.0 aperture, dual-LED (dual tone) flash and a pixel size of 1.25 µm (and it seems to lack optical image stabilization) – the cameras can capture 2160p videos at 30fps and 1080p videos at 30/60/120fps (or 720p videos at 240fps). During the day (especially outdoors), the rear camera is able to capture some really good photos, with close-to-real-life colours, but, you will notice some noise reduction, which will make the photos look more softer than what would the S8 or the LG G6 be able to deliver. In low light, the Z2 Force stood its ground and was able to capture a good amount of detail, but you need to keep the camera steady for a few seconds since the shutter will need more time to process everything. On the front, there’s a 5-megapixel camera with a f/2.2 aperture and LED flash (can capture 1080p videos). Just like the rear camera, the front-facing shooter is not the best among its peers, but it definitely is above average and can capture a good amount of detail, which makes it perfect for selfies in both good light and in low-light situations. The non-removable 3500 mAh battery of the Moto Z Force was nothing to brag about, but, for whatever reason, Lenovo decided to use a 2730 mAh battery for the Moto Z2 Force. Even so, you’ll manage to get about 5 hours of screen-on time and, if used moderately, the phone will get you through a full day. Furthermore, the Moto Z2 Force supports fast charging, so you can get from 0 to 50% in about half an hour. If this is not enough, the Moto Z2 Force has kept the convenient system of adding separate modules (they get magnetically fixed on the rear side), so you can add battery mods (such as the Moto Turbopower™ Pack) or other various mods (such as the JBL SoundBoost 2, the Moto Gamepad, the Hasselblad True Zoom or the Moto Instashare Projector). Verdict: At first glance, the Motorola Moto Z2 Force will definitely raise some eyebrows as it doesn’t look like the usual rugged smartphone. But, it is surprisingly tough and the screen won’t shatter even if the phone will fall face-down (it can easily scratch though). Now, I would still recommend a case because the rest of the handset is not really shock resistant and the camera lens can be damaged quite easily. So, if you’re an active person which likes to practice different types of outdoors sports and want to have a reliable and powerful smartphone, the Moto Z2 Force will not disappoint. Of course, if you are a construction or industrial worker, this may not suit you, but fret not, there are better choices from Kyocera, Panasonic or CAT. LG has been struggling for the past two years to remain relevant in the over-competitive smartphone market. The modular flagship LG G5 was heavily criticized and was generally disregarded by the general public, while the LG G6 came a bit too early and was overshadowed by the Samsung Galaxy S8. To get out of this streak of bad luck, LG decided to have a try at building a budget-friendly rugged smartphone and this is a welcomed decision since there aren’t that many new durable handsets at an affordable price available. 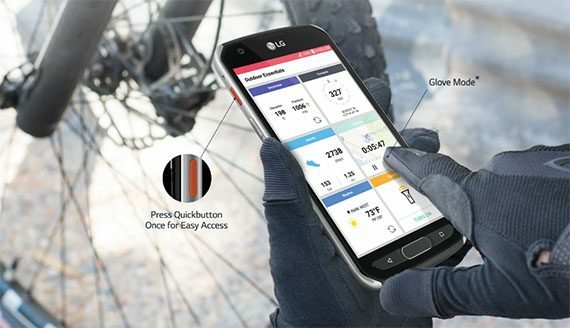 The LG X Venture is not in the same league as the durable smartphones from Panasonic, CAT, Kyocera or Sonim (which are more suitable for industrial workers), but it was built for active people who practice outdoor sports. So, you won’t see a huge rubber body with a small display, but it’s true that put next to the Motorola Moto Z Force, the X Venture is not really the slimmest smartphone out there. That being said, the handset does not feature a metal and glass combo, but went the rubber, plastic and metal route: the back panel is made of a textured rubber which adds a lot to the gripping factor, while the front is made of glass (with three physical buttons) and the sides are reinforced by metal. 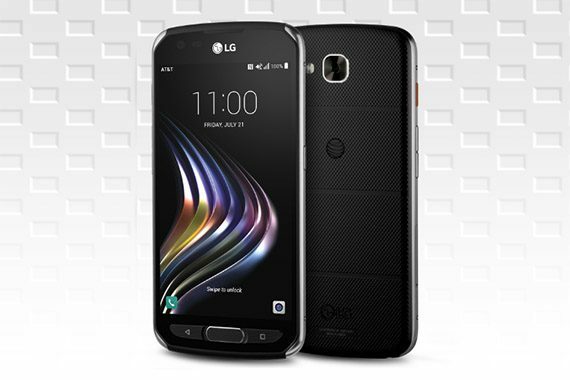 Overall, the LG X Venture seems like a combination between Samsung Galaxy S5 Active and Cat S40. Around the glass screen, there is a narrow bezel that helps a bit with protecting the screen from shattering, but I’m surprised that LG didn’t make it more elevated (for better protection, a case could prove to be a wise investment). As with many other smartphones, rugged or not (except the Moto Z Force), it is best not to drop the phone face-first on a sharp object, because the usually used Corning Gorilla Glass protection won’t do much against heavy impacts (it’s suitable only against scratches). As I said before, the rubber back keeps the phone from slipping and its dimensions are reasonably suitable for today’s standards, although I prefer for a rugged phone not to go past 5 inches (its dimensions are 6.06 x 2.98 x 0.37 in and it weighs 5.89 ounces). The front centre Home button is a fingerprint sensor (it seems that this type of security is being adopted even by non-expensive handsets), while the other two rubber buttons (Back and Multitasking) are quick and reactive. On the right side there’s the Power/Lock key and on the left side, you can find the QuickButton Hot key (which can be customized to open any app, but, by default, it opens the Outdoor Essentials apps – which include the barometer, compass, flashlight, LG Health or the current weather – double press the QuickButton to enable the possibility of using the display with gloves on), a volume controller and a SIM/microSD card tray (the X Venture is also equipped with a NFC antenna). The bottom of the rugged smartphone is occupied by a headphone jack and a microUSB port. 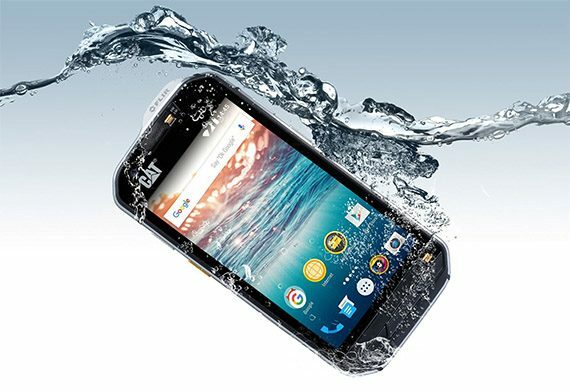 In terms of ruggedness, the LG X Venture is pretty much on the same level as the Active series from Samsung, being IP68 certified, which means that it is dustproof and will survive submersions underwater down to 5 feet for up to 30 minutes. Furthermore, it also carries the MIL-STD 810G certifications, which, as LG claims, it passed 14 tests for durability in a controlled environment (I was unable to find the exact tests that were performed, but I hope that LG makes them public, soon). 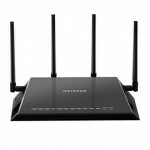 Note: The X Venture is not available unlocked (at this moment) and can only be purchased through carriers (specifically, AT&T). One cornerstone of the X Venture is, of course, the display and LG used a 5.2 inches IPS LCD capacitive touchscreen display, with 16 million colours, a resolution of 1080 x 1920 pixels, a pixel density of 423 ppi and it is being protected by Corning Gorilla Glass 4. Even if it’s not an AMOLED, the display of the X Venture features excellent viewing angles, a good colour representation and most importantly, it is very bright. At around 450 nits, the display of the X Venture can be clearly seen during bright days, which makes it perfect for outdoor expeditions. Inside the case, the X Venture sports a Qualcomm MSM8940 Snapdragon 435 chipset (1.4GHz octa-core Cortex-A53), an Adreno 505 GPU, 32 GB of internal storage memory and 2 GB of RAM (you can add up to 256 GB of storage memory through the microSD card slot). I found it quite unusual that LG would go for this internal hardware (which is more low-end than mid-range level), so expect some stuttering while multitasking and no, you won’t be able to smoothly play the latest graphics-intensive games, but web browsing, watching Youtube videos and other less heavy apps worked just fine (to be honest, I expected more from a phone in its price-range, but I guess this is where LG cut some corners). Furthermore, LG X Venture interface runs on the Android 7.0 Nougat platform and it has made some significant changes from the stock version (such as the lack of an app drawer), but it is still less than what any previous LG phone came with. 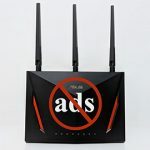 Some preinstalled apps from LG have proven to be incredibly useful, such as the aforementioned Outdoor Essentials, but, since we are talking about a carrier-exclusive device (an unlocked version may be underway), there is a lot of third-party bloatware from At&t (such as the DirecTV apps). The X Venture is also equipped with a 16-megapixel rear camera with autofocus, LED flash, HDR and an aperture of f/2.2. I have to admit that I expected a good performance from the camera (since both the LG G5 and G6 were excellent shooters) and the X Venture was able to capture really good photos outdoors, in good light (the photos were sharp and had a good exposure, featuring reasonably accurate colours), but, indoors and in low light, things weren’t that great (the photos usually end up underexposed and it doesn’t capture a large amount of detail). So, in the end, the rear camera is what you would expect, considering the price tag of the device. On the front, there’s a 5-megapixel camera, with a f/2.2 aperture (can film 1080p videos) which is also quite modest performance-wise, but it is useful for occasional selfies or for conference calls. One of the best features of the X Venture is the non-removable 4100 mAh battery which can last for up to two full days with moderate to heavy use and I noticed an average screen-on time of 8 hours. The Snapdragon 435 definitely keeps things efficient enough, but I think that a Snapdragon 625 would have made better use of the battery (and reaching over 10 hours of SoT). Fortunately, the smartphone takes advantage of the Quick Charging 2.0 and the phone charges from 0 to 100 in about 2 hours. Verdict: When LG created the X Venture, it had in mind a budget-friendly, good-looking rugged phone that would survive outdoor activities and with a battery that could last for a long time. And it’s clear that it has reached its goals since I can’t complain about the durability or the battery life, but it has made some sacrifices in order to keep the price down (the performance is very underwhelming and the cameras could have been better). Despite that, the X Venture is a nice alternative to the more expensive Samsung Galaxy Active series and, even if not used as the main handset, it will offer some value for people that practice outdoor sports. If you know about the Samsung Galaxy S6, the new Active S6’s design is quite different. Say goodbye to metal and glass and welcome to plastic. Yes, the Samsung Galaxy S6 Active is made of solid plastic, with angled, reinforced corners and is thicker overall than the S6 (which is expected from a rugged phone), measuring 2.9×0.3×5.8 inches and weighing 5.3 ounces. Just like the S5 Active, the S6 Active has 3 textured buttons under the display and it doesn’t feature a microSD slot or a removable battery. 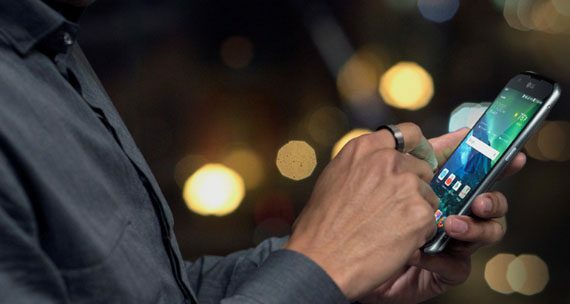 We know about the gorgeous display of S6, but what about S6 Active? It features the same 5.1 inches Quad HD Super AMOLED display, with 2560X1440 resolution and 577ppi pixel density. The display is one of the best you can find on a rugged smartphone, with true colours, great colour gamut and great contrast. For more information on the display have a look at the original review for Samsung Galaxy S6. The same can be said for performance. 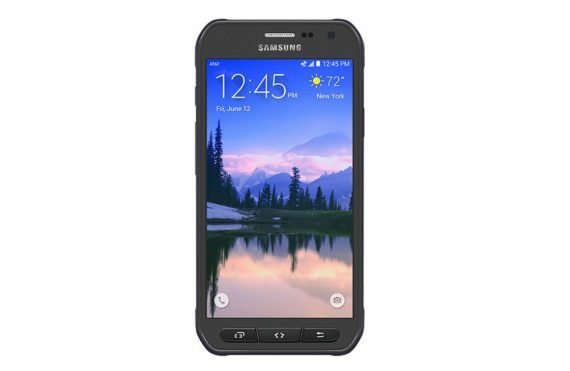 The Galaxy S6 Active features a 2.1GHz and a 1.5GHz quad-core Exynos 7420 processor backed by 3GB RAM, a ARM Mali-T760 GPU and 32GB internal storage. This translates in one of the fastest smartphones of the moment, engaging games and multitasking without breaking a sweat. The S6 Active also has a 16-megapixel rear camera and a 5-megapixel front-facing camera. Just like the S6 and S6 Edge, the camera takes great photos, comparable to what you can take with a DSLR and is still one of the best cameras you can find on a smartphone. Although the S6 Active runs the familiar Android Lollipop with TouchWiz, there are some additions from the S6: The Activity Zone, which is specially made to act as a fitness application. 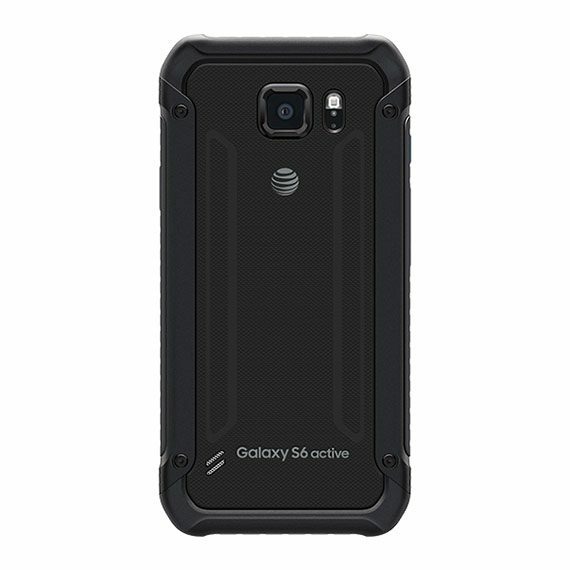 Note: One annoying thing about the Galaxy S6 Active is that it is only available from AT&T right now. The S6 Active features a non-removable 3500mAh battery (the S6 has a 2800mAh battery) that will get you through a day and a half with normal use. Verdict: The Samsung Galaxy S6 Active is as great as the S6 in terms of specs and it manages to deliver a reasonably rugged phone experience, while retaining the high-quality a flagship phone should have. But putting it alongside the likes of CAT, Sonim or Kyocera just doesn’t seem right. The S6 Active is a great, durable android phone phone, best fitted for active persons and nothing more. 1. Have you considered the Doogoo S60 and the AGM X2? 2. Have you seen the link below on the Moto Shattershield? If it cracks you have to pay to have the screen replaced. 3. Have you looked the duration over which the different phone manufacturers provide security updates? It is not any good have a rugged phone exterior and weak/insecure software. A rugged phone should be characterised by a rugged exterior and strong rugged secure software platform. Samsung for example only provides updates for 2 years after the phone is announced, even though you may still purchase the phone 2 years later. Apple and Google problem provide the best security updates for their own phones. I am currently on my second cat S60 and an not real impressed the first one the speaker quit within a month and while dealing with the return I was trying out the underwater mode and the phone literally filled up with water to the point when i opened the cover for the USB port water ran out of it. Note the second one the side of the case is loose, it feel out of my pocket as I jumped over a puddle running to the car in the rain and needless to say it got wet inside. That being said I have used the infra red camera several times at work to find problems in a refrigeration system and bad electrical connections that didn’t show up on conventional meters. As a Samsung XCover 1 and 2 user I was very happy. I had put them through hell in the mountains and on exercise and they always delivered. A 2hr surf trip saw it reach its limits. I am now on my Activ’ rant. S5 Active. Destroyed a screen with a clumsy 1m drop (yes it had a protector). 2nd one from the same shop did 1 mountain trip before lens cover was damaged (it sticks out, so bad design) and so onto s6. Same issues…. lens cover on rear camera ans screen glass not upto much. The Activ have great features but really THEY ARE NOT RUGGED PHONES for the person spending time in the outdoors. My XCovers were superior, except for photos. sO PLEASE HELP. I am not a saturday sunny outdoor to the pub guy, am not an industrial oil worker but want a serious outdoor phone that will withstand serious adventure and take nice pics. Please help. If you want a reasonably rugged smartphone that actually looks like a smartphone, there aren’t many options on the market, unfortunately. I see that the Samsung Active series is off the table and, while Motorola Z Force has a tough screen, the camera lens is very fragile (a rugged case may do the trick). You could also have a look at the newly released LG X Venture, but it seems to be a copy of the Galaxy S5 Active (could be better or worse, as I have not yet had the chance of testing it). My husband had the Kyocera Brigade and 2-3 months in he dropped it, ironically off the back a military vechile and the screen shattered..
Kyocera has been a bit of a disappointment really. I’ve had both versions, the Brigadier is the newest. Overheating is a big problem. The Brigadier will overheat quite easily. If a phone is going to say “harsh” environment, then it should work in the heat. Swimming in cool waters a couple of feet in depth is not harsh. Neither is shaking when enjoying a bike ride down hill or something similar. “Harsh” means an environment where its going to be hot or extremely cold, or sandy, or suffer through the jarring of a parachute landing. I mean, what does “harsh” mean to you? Kyocera cant stand the heat. Bottom line. as the phone is kept within operating range of -30°C to 60°C”, as quoted from their website (in Fahrenheit, it’s between -4 to 140 degrees). It seems that this is their definition of extreme temperature. Did your phone overheat from the beginning or after a software update? And, did it happen only after exposed to high temperatures? Lastly, have you changed it for something better suited in extreme temperatures? The phone had a software update right out of the box. I can tell yiu the phone was no hotter than 90 to 95 degrees Fahrenheit. It kept wanting to shut down. Its useless in the heat. Manufacturers will send equipment to us all the time for free because they want us to put them through the harsh environments we operate in. I wish cell phones would be one of those things. I can tell you this, kyocera is a fail in high heat environments. according to the recent Facebook Post 17% OFF on AGM X1 for 7 days . for the price it is very a good deal. 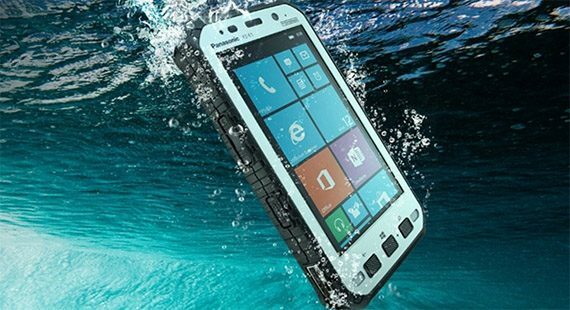 it is one of the top rugged smartphone with stunning look, perfect combination of hardware and software. The Galaxy S7 Active should not be on this list. I know, because I was unfortunate enough to buy one thinking it was a rugged phone. It is not. Screen cracked within 3 three weeks, with a glass protector on it, with very gentle handling. Not even doing anything “active” or different from any other phone I have had which lasted years. Lots of people petitioning for a class action to replace this. This is a common occurrence along with the camera lens shattering. Over $400 to replace screen (non-insured plan). The screen itself has a plastic coating which will scratch very easily and is non-replaceable. During the time I had a look at the Galaxy S7 Active, it did not strike me as fragile and the screen did not shatter but, since many more people have said the same thing as you did (broken camera lens and fragile display), it seems that I may have been among the lucky ones. So, since the phone is not up to the standards of the other rugged smartphones on this list, I have moved it to Honorable Mentions (and will remove it completely if Samsung doesn’t recognize it as a manufacturing defect). Pretty sure it isn’t comparable with US LTE towers. hey great article thnx for sharing it. I also fount some more rugged smartphones, i hope you also like them.